In many countries wild edible plants are an important part of peoples’ diets. And amazingly some places have festivals celebrating dandelions. For example in Durongo, Colorado, USA on May 1st they have a festival with food, dancing and music all around the theme of dandelions. They make flutes out of the flower stems of dandelions and all kinds of foods containing dandelion leaves or roots. In contrast here in New Zealand we have advertisements on television where they show dandelions as bad weeds being sprayed. We are missing out on a valuable source of nutrition. 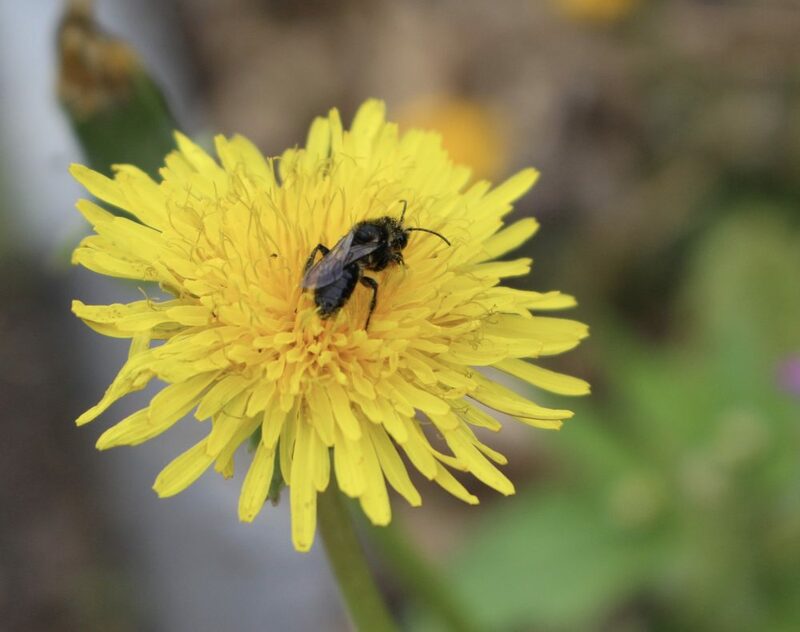 Dandelions are perennials (plants that live for many years) with deep taproots well known as highly medicinal for (good for the health of) the liver and gallbladder. They can be dug up in autumn, dry roasted and ground into a delicious coffee substitute. The leaves are highly beneficial for the kidneys. They’re diuretic (help you go to the toilet) but they give back potassium and other minerals you need that are depleted by prescription diuretics. The leaves contain high amounts of vitamins A, B and C, potassium, calcium, iron, phosphorous and other minerals, and are 19-32% protein, an impressive amount just from green leaves. Weeds also perform a valuable job covering and protecting bare soil from erosion where it washes away or blows away in the wind. The weeds are like a band aid for the earth and they help build soil, keep the ground cool and moist and make the land more stable for larger plants to grow. We have brought into New Zealand many plants that weren’t here before Europeans arrived. We could say this is bad for the native bush or we could look at it differently and say that these plants actually help our environment because they add diversity and a richness to our environment. They also occupy niches where native trees used to grow but are now gone. All they are really doing is covering the ground and I believe we need to understand how weeds can help us rather than fight them. They are the survivors who will adapt to climate change. So maybe they are not so bad after all.